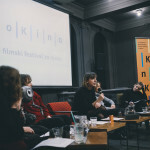 The fourth edition of the KinoKino International Film Festival for Children takes place at Zagreb’s Europa Cinema 20-24 February. 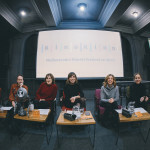 The festival programme was presented at a press conference by the festival director Selma Mehadžić, programme coordinator Katarin Crnčić, the directors of the Croatian children’s sci-fi My Grandpa Is an Alien Dražen Žarković and Marina Andree Škop, and director Čejen Černić, a professional jury member and First Steps in Filmmaking workshop mentor. 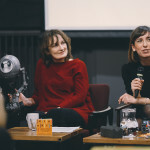 Selma Mehadžić looked back on the festival’s evolution which has, in only three years, managed to create a new and numerous audience comprising not only children, but also adults and a broader film community interested in children’s film. 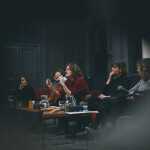 The Main Competition consists of eight contemporary fiction films from all over the world who share the fact that their small protagonists at important moments in life maturely and with ease take up the roles of grown-ups and become a model even much older people could learn from. In the award-winning Danish comedy I Am William, a boy without parents needs to find his place under the sun without help from grown-ups. 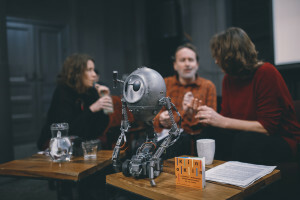 Fresh from the world premiere at Berlinale comes My Extraordinary Summer with Tess, in which one unusually worried boy meets one unusually mysterious Tess and an unusually happy click happens. India has sent us the hilarious comedy Pichku’s Dream, whose protagonist lives in a New Delhi slum and his biggest dream is one day to have his own toilet. The colourful German-Finnish film Matti and Sammi and the Three Biggest Mistakes in the Universe follows two brothers forcing their family on a trip to Finland in search of happiness, with a few lucky coincidences after a whole series of random mistakes. The adventurous Turkish film My Short Words depicts a strange day trip of three children from a village in Antalya. Interestingly, the director and his wife lacked the funds to complete the film, so they decided to invest in it all the money they got as a wedding present and spent their honeymoon on the set. Another title is the Kenyan Oscar nominee Supa Modo, which speaks about an extremely difficult topic in an unusually entertaining and touching way. We have already announced one of the most important titles for children in the past years, not only on the regional, but also on the global level – The Witch Hunters by the Serbian director Raško Miljković. We are particularly happy that the film crew will attend the Zagreb premiere. 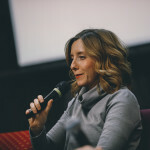 The professional jury consists of director Čejen Černić (The Mystery of Green Hill), film educator from Finland Marjo Kovanen and writer Olja Savičević Ivančević (Farewell, Cowboy, Singer in the Night). 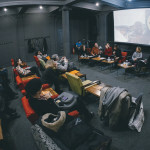 The films will also be judged by a children’s jury consisting of five primary schoolchildren from Zagreb: Margarita Belan, Luna Culjak, Kan Priselac Novačić, Jakov Šitum i Hugo Štedul. 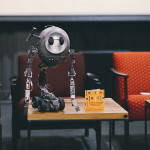 All the visitors will jointly decide on the Audience Award. This year we are particularly excited over the festival premiere of the Croatian sci-fi film My Grandpa Is an Alien at the 4th KinoKino. 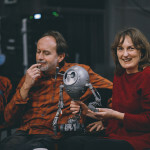 We will finally have a chance to see a children’s film using cutting-edge film technologies and special effects so far unprecedented in a Croatian film for children. Accompanied by one of the protagonists, Dodo the robot, directors Dražen Žarković and Marina Andree Škop presented their brainchild, the film My Grandpa Is an Alien. 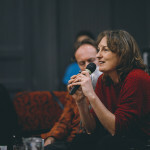 Katarina Crnčić presented off-programmes as well. 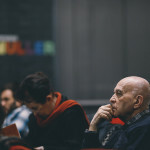 “In the section Classics with Guests, one of the most faithful Europa Cinema visitors, the inseparable Petar and Vesna Krelja (I Have Two Moms and Two Dads, Krešo Golik, 1968) and Matija Dedić (The Secret of an Old Attic, Vladimir Tadej, 1984). 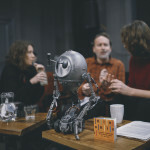 Among the side events, there is the amazing selection of short film Discovering Every Day, and the parents’ favourite First Time at the Cinema – a selection of short films for preschool children meeting moving images on the big screen for the first time. 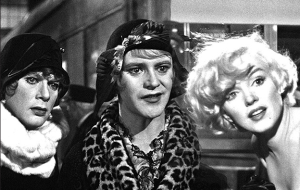 And last but not least, a visit of the popular Europa Cinema’s event Kinolektira, with a screening of one of the most famous romantic comedies of all times, Some Like It Hot by Billy Wilder. This classic and one of old Hollywood all-time favourite titles will be part of the Hosting Kinolektira event. You can find more information on the link.